Basappa Dhanappa Jatti (B.D. Jatti) held the office of Chief Minister of Mysore between 16th of May 1958 and 9th March 1962. He was succeeded by S. R. Kanthi. B.D. Jatti was born into a family of humble means in a small village called Savalgi. The village is a part of the Jamkhandi Taluk located in the current day Bijapur district. The economic conditions of his family was a hurdle in his path to receiving education. Overcoming the hurdles and difficulties, J.D. Jatti completed his education with a law degree from Rajaram Law College in Kolhapur. He began practice in the humble town of Jamkhandi. His law practice was soon interrupted by his political interest. B.D. Jatti’s political foray began with his election as a humble municipality member. In 1945, he became the President of the Jamkhandi Town Municipality. From there he moved on to becoming a member of the Jamkhandi State Legislature. He was also elected as a Minister in the princely State of Jamkhandi’s government. 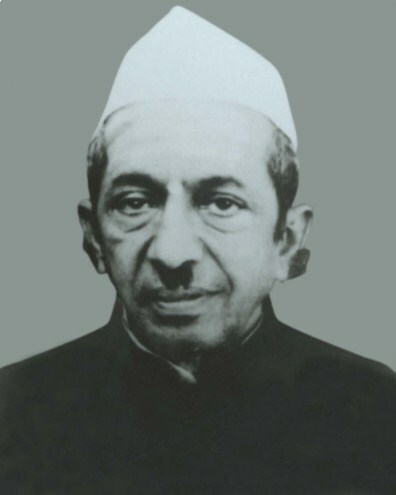 After he was appointed as the chief minister or “Dewan” of the State of Jamkhandi in 1945, his political career saw an upswing. On the 8th of March 1948, Jamkhandi was integrated into the state of Bombay. The integration caused a brief twenty month hiatus in B. D. Jatti’s political career. He returned to his law practice in his home town of Jamkhandi. Representing the newly merged area, Jatti was elected as a member of the Bombay State Legislative Assembly. He was immediately, within a week of his election given the prestigious post of the Parliamentary secretary to the Chief Minister at the time, B.G. Kher. He was in the year 1952 elected to be the Minister of health and labor in the Bombay government and he held the post for a few years till the states were re-organized. Post re-organization Jatti became a member of the Mysore Legislative Assembly. He served as the Chairman for the Land reforms committee which was in many ways the pre-cursor for the 1961 Mysore Land Reforms Act. When S. Nijalingappa stepped down from the chair of Mysore State’s Chief Minister in 1958, Jatti was elected to be the president of the Congress party despite stiff opposition from T. Subramanya, a Congress veteran. The land reforms act was adopted when Jatti was the Chief Minister and Kadidal Manjappa was the Revenue Minister. He retained his post as Chief Minister from 1958 to 1962. Acting President for a short period between 11th February 1977 and 25th July 1977. Beyond his political career, Jatti was a deeply religious man. His autobiography titled “I’m My Own Model” talks of his journey through the various seasons of life. He was an ordinary man in his roots. His extraordinary thought, however was not limited to his humble beginnings but spanned the length and breadth of the country.